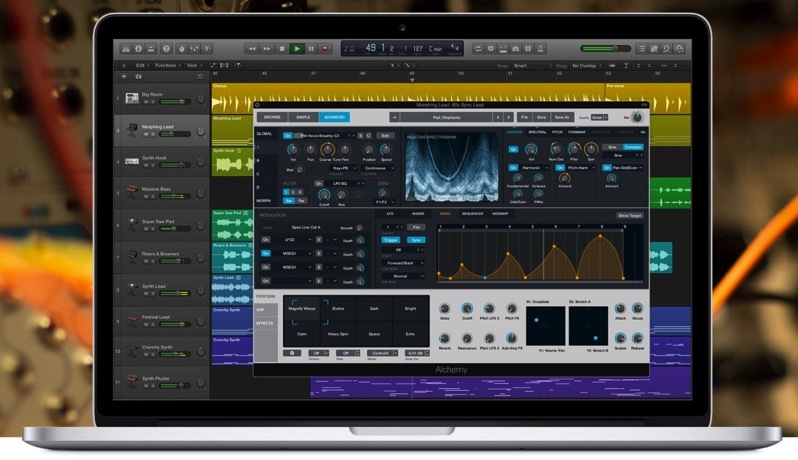 Apple has announced new updates for GarageBand for iOS and and Logic Pro X 10.3, available today. 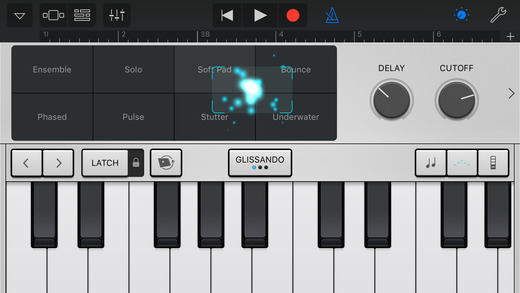 GarageBand for iOS now gains the synthesizer Alchemy, which includes over 150 Apple-designed patches from a variety of genres. Users will be able to use eight snapshots in real-time via Alchemy’s Transform Pad for “expressive synth performances.” iPhone 6 or later, iPad Pro, iPad Air 2, and iPad mini 4 support this new feature. Also new is Multi-Take Recording, allowing multiple passes and ability to switch between favourite takes, explains Apple. A redesigned Audio Recorder is also new, which has new advanced audio processing tools such as an interactive visual EQ, plus third party Audio Unit plug-in effects support. The GarageBand for iOS update is free for existing users, otherwise it remains at $4.99 USD —click here to download it. Logic Pro X has been updated to support MacBook Pro models with Touch Bar, allowing for greater controls with the new feature, such as a timeline overview and quick access to volume and Smart Controls. On top of Alchemy support, another new feature is Track Alternatives, allowing for switching between playlists of regions and edits on any track. Also, selection-based processing adds the ability to apply combos of Logic or third-party effect plugins to one or various audio sections. Logic Pro X also gains a 64-bit summing engine and 192 additional busses and true stereo panning, explains Apple in a press release. The Logic Pro X update is free for existing users, otherwise it remains at $279.99 CAD, available in the Mac App Store (update rolling out still). One more thing—Logic Remote for iOS was updated today with better Wi-Fi connection to the Mac, plus the iPhone version now shows a keyboard with optional scale modes.